These days, link building is not the straightforward process it once was, especially since Google recently banned guest posting for SEO purposes. The reason for this is simple enough, like many practices designed to improve search engine placement, it was open to and subject to a lot of abuse. However, that doesn’t mean that link building is completely dead, although no doubt we’ll see a slew of articles hit the web that tell us otherwise. It does mean though that you have to be careful when carrying out link building, if you want to avoid a manual penalty. These days most corporate websites will have a blog to further its online presence. This is a simple enough addition and one that takes very little time but creates links of a high value if the content is good enough to attract backlinks. Everyone can use blogging as an effective marketing tactic and it doesn’t really matter what industry you’re in. The first step is creating a blog and then adding to it on a consistent basis. This is a natural link building tactic and it provides a business with the opportunity to attract natural links from other websites. This will increase traffic and in turn, hopefully links. If you can create viral content, all the better, but of course this isn’t easy. However, with the use of social media, it’s possible so ensure that you distribute the blog through all of the main social sites and through email newsletters. The more people that see it, the more chance there is of obtaining links the right way – naturally. Think high quality content and ensure it’s highly useful to your audience, as well as very relevant to your industry. It’s worth putting in the extra effort to create longer articles that can be considered thought leadership material too if you want to attract good links. Whilst it’s not a good idea to start sending out press releases with links in them, it doesn’t hurt to shout about it if you’ve just released a new product or you’re about to launch a new site. News creates news stories, which in turn creates editorial links back to your site and these are highly desirable. You can also create these kinds of links by running competitions and giveaways – anything that others might share (and link to). If you can get backlinks from .edu or .gov sites then do, as these are known to be authoritative sites and are very valuable in terms of SEO. 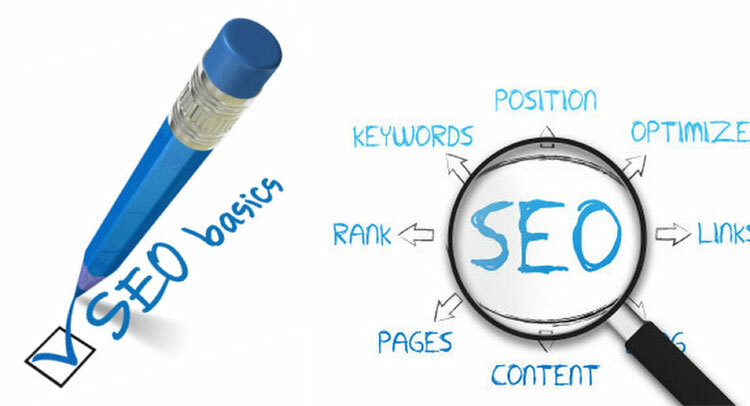 However, it’s not always particularly easy to get backlinks from these sites, so in order to see which are likely to allow you to create an article, then perform some competitive analysis. This tends to throw up links that have been obtained by competitors which also represent an opportunity for you. Firstly, when it comes to directories, approach with extreme caution and do not ever list your site on a directory that is low quality. These are simple enough to spot; generally, they have no real way of contacting the webmaster (although most have contact forms, these are rarely replied to as anyone attempting to get bad links removed will know) and tend to carry images of half-naked ladies. Choose directories that are firmly in your niche and are high quality, or you do risk gaining yourself a damaging link. Sites such as Yell are useful, for example, but do ensure for the sake of local SEO that you keep NAPs consistent. NAPs stands for name, address and phone number and these should appear exactly the same as they do on your own site and all social media listings. For example, if you use +44 in your phone number on your site, then ensure you do also on directory listings and that the address appears in the same format across platforms. As mentioned earlier, this is not as straightforward as it once was and you should not really be doing it for SEO purposes. However, if you already have a good relationship with editors of authoritative sites then do make the most of these. Aim to publish more than once on good sites and look more at increasing thought-leadership than just getting a link. Even if you put a link in the bio and it has a nofollow placed on it, this will still drive traffic to your site and it’s likely that visitors will link to your content, if they like it well enough. Always aim to publish on sites in your own industry niche to ensure that it’s relevant as far as the search engines go. This is very important, as one irrelevant link is likely to get you a manual penalty. So, just in conclusion then: consider links in your profile page on whatever social media sites you’re using. Anywhere that you can add a legitimate link to your site and content is a good place to start. Remember that old adage, “It’s not what you know, but who?” Well, that’s relevant here and it’s worth asking people you know to link to your content and in general increase your web presence, saturation, and exposure, so long as they are relevant to what you produce. Link building is important to a business website and it’s something to maintain and work on consistently. Remember to be cautious and only utilise legitimate tactics and practices to ensure that you don’t get a costly Google penalty.